CapitaLand plans to exit the Indian real estate market. The Singaporean firm plans to exit some of its UK and Australia projects as well. CapitaLand plans to skip real estate India. Singapore-based real estate firm CapitaLand plans to quit real estate in India. Besides quitting from India, CapitaLand has plans to exit from UK and Australia as well. The real estate firm also plans to reassess its investments in ASX listed Australand Property Group. CapitaLand’s 15% of total assets are derived from its Australand stakes. 59% of Australand stakes are owned by the Singaporean firm. 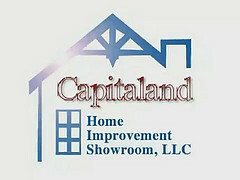 Real estate India will lose investment by CapitaLand. CapitaLand entered the Indian market through its CapitaMall India Development Fund and Horizon Realty Fund. The Singaporean firm had also plans of developing residential and commercial properties in collaboration with Advance India Projects Limited, Prestige Group and Runwal Group. CapitaLand was about to join hands with Prestige Group and Advance India Projects for developing nearly 15 commercial projects across India. Currently, CapitaLand owns 24.4% stake in Udiapur Celebration Mall, another 10.41% stake in Bangalore’s Forum Value Mall. Besides having a 9.9% stake in Mangalore Mall, the firm has 7.4% stake in Cochin Mall as well. CapitaLand further holds nearly half of the total stakes (49% stakes) of Trans Thana Creek, a Navi Mumbai located IT Park. This is one of their main investments in Indian market. With the launch of Citadines Richmond Bangalore, CapitaLand’s subsidiary Ascott Limited entered Indian real estate in 2011. The project contained superior service apartments. 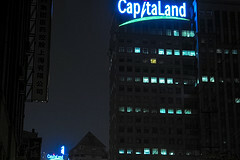 CapitaLand is a multi-focused corporate. Their development covers the areas like hospitality and real estate financial services besides their core- business of real estate. They invest in growing cities across Asia Pacific and Europe. They have developed real estate properties in over 110 cities of more than 20 countries. Singapore- based CapitaLand provides real estate investment services. They collaborate with Pantaloon group for this. Subscribing Pantaloon’s Horizon Realty Fund, CapitaLand had invested $75 Million in the real estate India market in 2006. This entry was posted in Real Estate News and tagged CapitaLand, Real estate India, real estate investment, Real Estate Market, Singapore by designer. Bookmark the permalink.